It’s been a rocky 24 hours for Apex Legends. Respawn Entertainment released a new update this week, which unfortunately contained a nasty bug which reset players’ accounts, making it appear as if they had lost their level progression, items and in-game currency. Fortunately, it seems that the fix was relatively straightforward: it turned out the update inadvertently moved players to servers which didn’t have their accounts on them, meaning their progress wasn’t recorded. That’s all been fixed now, but in all the confusion, eagle-eyed gamers noticed they had access to a couple of unreleased L-Star skins. 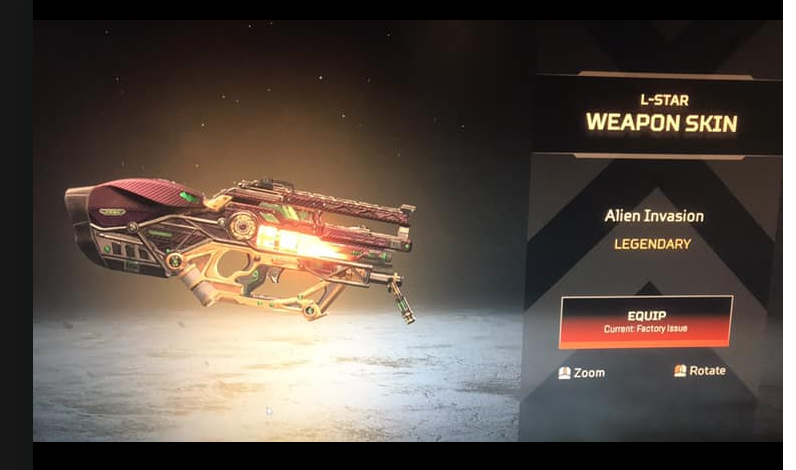 They’re titled the Apex Hyperdrive and Alien Invasion skins, and players had access to them for a very brief window before the servers were restored to their usual state. However, I think it’s safe to assume that the cat is very firmly out of the bag on these now, so expect them to find an official release in the near future. Of course, the presence of these new skins does raise the question of why they (and others like them) weren’t included in the Season 1 Battle Pass. That much-hyped release went down with the playerbase like a bucket of cold sick, with many rightly pointing out that the rewards were lacklustre and there was a notable lack of new content. But, judging by this, Respawn has learned their lesson and hopefully the ongoing releases (and the eventual Season 2 Battle Pass) will be far more substantially filled out. Plus, as always, there’s been data-miners busy digging away after every update to try and sniff out any upcoming cosmetics, characters, weapons or modes. 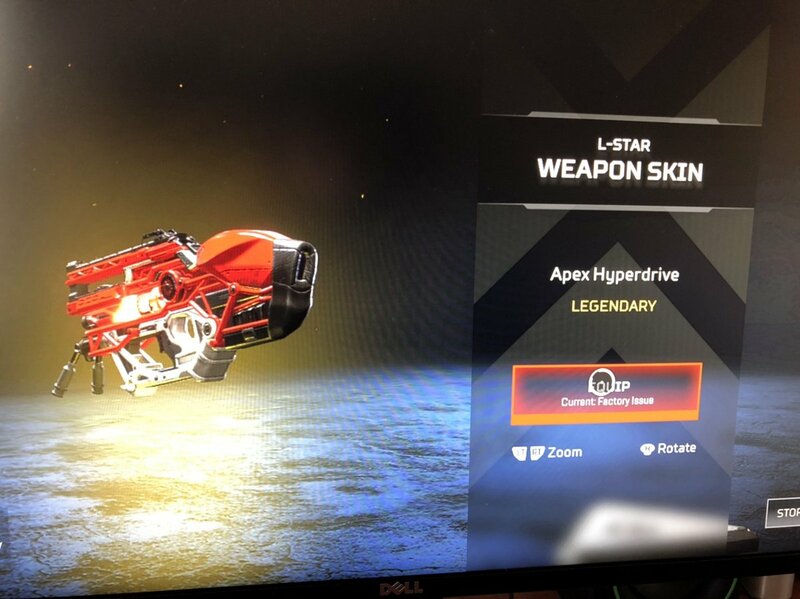 At least we might finally get our hands on the L-Star itself – a gun that the players have known about for weeks but been unable to actually use. I’m sure there’ll be more cool leaks after the 1.1 update, too, so stay tuned for what else might be in the Apex Legends pipeline.